I’ve become more of an iced tea drinker in the past five years or so. It’s always perceived in my mind as a healthier option than a soft drink, and provides the added boost of a little caffeine in the afternoon. 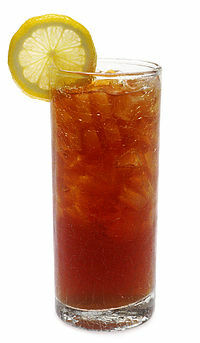 What are your thoughts on iced tea? Good? Bad? Indifferent? Posted on 15, October 2012, in Drink and tagged British, iced tea. Bookmark the permalink. 1 Comment. I will never forget watching a Kentucky native filling his iced tea with sugar as he stirred. He didn’t stop pouring until it was nearly half full. Since then I refuse to belive it is a healthy alternative! !